Toon's Tunes : Struggling to find last-minute gifts? EASY! Music!! Adventure!! FESTIVALS!!! Struggling to find last-minute gifts? EASY! Music!! Adventure!! FESTIVALS!!! Have you left shopping until the very, very last minute? Or maybe you've already started planning for next year's vacation? You know you can buy next-year festival tickets, right now, right? Why not combine the two... a trip and a festival. It's a great opportunity to see another part of the world... see futher below for more distant opportunities. Muse play their only North American festival date in 2018 at Carolina Rebellion. The May 4th, 5th and 6th lineup looks amazing! You can find tickets here. Then there's Northern Invasion with another stellar list of performers: Tool and A Perfect Circle at the same event! Find more info for Northern Invasion here, including tickets and hotel deals. May 12th and 13th in Somerset, WI. Louder Than Life will be in Louisville, KY, the weekend of September 29th and 30th, and earlybird tickets are already available. I was there this year and it's a huge amount of fun. Take an extra few days and explore the city, visit the Muhammed Ali Museum, discover more about boubon... oh and there's a boubon festival too. Check Danny Wimmer Presents for other festival dates and tickets... there is much more to hear! 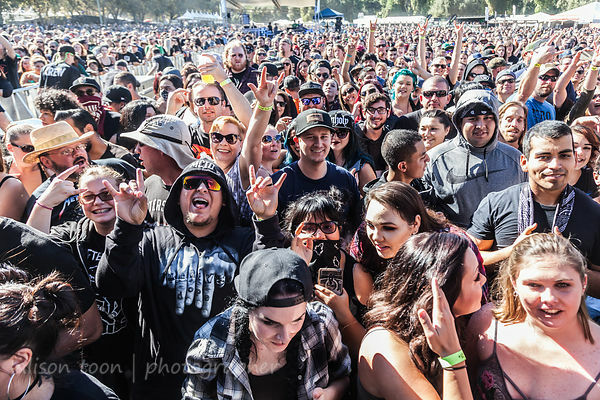 Closer to home in Sacramento, First Festival tickets are on sale too: the festival will be the weekend of May 5th and 6th, in Tanzanite Park, Sacramento. Lineup includes Blackalicious! - and many, many more. In fact... here's an interactive map to all the metal/rock festivals in Europe. Find your bucket-list destination, plan your trip, and enjoy the music. Make today a gift to yourself... plan your festival year 2018! Merry Christmas, Happy New Year, and enjoy whatever you are celebrating, eating and listening to!